"…I think that having the courage to be oneself is the most difficult thing in the world. The most essential and also the most magnificent." "We may not know why we're here, or where we're going after we die, but if you're here, you might as well be here. And being here means paying attention, I think." Yesterday and tomorrow, but I eventually fall asleep because neither exists. He understands why, in dire times, you'd be tempted to "set your house on fire and never answer the phone again, but it would be better to ask yourself: How can I be most useful to this world? Not that I'm some f****** genius." "I think five minutes can be an eternity if it's well used, you know. There are periods of time that are gems, but you don't have to go into a blizzard in South Dakota or into the rain forests of New Zealand or the middle of the Sahara. You can find that just walking down the street." "One of the best pieces of advice I ever got was from a horse master. He told me to go slow to go fast. I think that applies to everything in life. We live as though there aren't enough hours in the day but if we do each thing calmly and carefully we will get it done quicker and with much less stress." "For a long time now, I've been certain of one thing: there are more things that connect me to others than there are things that divide us. We should be able to all understand each other. I've proved it." "Even though many people seem to be not interested in art or in things like nature or life itself, we must force ourselves to remember, we must force ourselves to be deep in life." It's the endlessly entertaining, often ridiculous, sometimes admirable, sometimes embarrassing attempts that some people make to find some meaning in their lives that make life worth living. "I think it was Robert Louis Stevenson who said this, it was about meandering through a career, or the arts in general, without seeming to have a deliberate plan. He said, 'To travel hopefully is better than to arrive, and the true success is in the labor.' That's a great line, 'To travel hopefully.' That's what I'd like to do." What do you believe in above all else? © Viggo-Works/Iolanthe. Images © Emily Berl/Getty Images. In the past Viggo has talked a lot about all he has learned from other actors – those he has seen on screen and those he worked with in his early career. And, as he continuously points out, he is still learning. But as an actor he also generously gives and many actors have said that they have learned a lot from him or that he has been a mentor to them. As he says in his own words in the last quote, acting is - for him - a 'team sport'. "Viggo is such an amazing guy. He's the gentlest, kindest person you'll ever meet. All the 'family' members got along but I think the strongest bonds that were made were between the kids and Viggo. He would come on set every day with different books for all the kids to read. I ended up having about 10 books that I've never gotten around to reading. He really is a generous, amazingly kind man." "I think everybody finds Viggo to be a bit of a mentor because he's becoming a kind of—and certainly this is nothing that he would want—but I think he's becoming a kind of iconic figure in terms of how you should be an actor. Just your demeanor, your seriousness, but your sense of humor and the kind of research you do and your professionalism, and your loyalty to the project and to the people who are creating the project." "Viggo Mortensen had the biggest impact on me in terms of approach, dedication, intention, and artistic outlook and I'm nowhere close to how good he is as an artist and I wouldn't even put myself in the same category as an actor." said Bloom. Who have you learnt the most from working with? 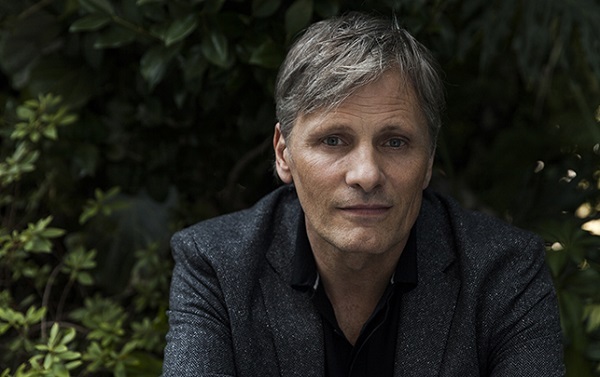 Viggo Mortensen, in terms of he way he approaches a scene, his commitment to the people he's working with and his follow-through in support of the film that he's made. "...he really reawakened in me a sense of the possibilities of what it can be as an actor enjoying a role." "Viggo is generous, he is constantly bringing small gifts. That must be a result of his education and the numerous trips he takes. And when you act with him in a scene, even when his part is done, he stays close to the camera in order to help you. We function very differently, especially in the way we channel our energy. He is always calm, and speaks softly. I have a more brutal side. I learned a lot from knowing him." "The real trigger for me was the film that everyone was talking about when I was twenty: The Deer Hunter, particularly Meryl Streep. What an inspiration! All the actors in that movie are amazing, no doubt; but there's something about Meryl Streep in that movie that makes me identify with her. I don't know why, something mysterious that you can't put your finger on, but which haunts you deeply, and for a long time..."
"I loved working with Al Pacino. He was unusually generous for someone in his position. He has a very open mind, and a very open heart." "I accepted [the part of Lucifer], in part because I had always wanted to work with Christopher Walken," the actor says while sitting on the sofa's edge. His face lights up when saying Walken's name. It's evident that Christopher Walken is a cult actor for many young actors nowadays. "I would do any movie with him, no matter what [it was]." "If I've learned anything these past years it's that everyone is in some way your superior. Every movie I've made has confirmed the fact that this is a team sport." © Viggo-Works/Iolanthe. Images © Bleecker Street. It was lovely to see Viggo and David Cronenberg back together again at the Beaune International Thriller Film Festival, presenting two of their collaborations. It would be even lovelier to see them working together again! In the meantime, while we light our karma candles for a miracle, let's take a look back at that famous (infamous?) Cronenberg/Mortensen double act. John Ford and the Duke. And now … David Cronenberg and Viggo Mortensen? ….exuding from their two films together is a sense of ideal alchemy, as if the sculptured physique and the Sphinx like face of the actor were made for the dry and morally complex thrillers of the Canadian film maker. After two collaborations, they're as comfortable together as a pair of old shoes. "Viggo's cheap, he's available and he's obedient!" laughs Cronenberg. "And he's got a great chin." "I love Viggo - it really is a collaboration," Cronenberg says. "It's like a marriage. You might see two people together and not understand why they are, but they know. We know. We feel we can get the best out of each other." "I feel safe bringing things to David that weren't on the page, because he knows it's good for the movie to make people feel safe and like they are truly collaborators." Cronenberg chuckled. "Yes, essentially I am very lazy, and I only hire people who will do all the work for me." "And then he can take credit for it," Mortensen said, deadpan. So, do when you work with Viggo, is it like being in his skin the whole time? Yes, that's true. I can tell you that one time the props guy came to me and said, "I'm going to ask you about this because you are Viggo, and Viggo is you—so it doesn't matter which of you I ask." He saw it. We really trust each other's sensibility. I did talk to a director once who said, "You know this guy Viggo you worked with? I sent a script to him, and he sent me notes!" I said, "Yeah? Well, were they good notes?" He looked at me like I was crazy. How did they work to create Mr. Mortensen's Nikolai, covered in tattoos and minimalist of motion? "I just followed orders," deadpans Mr. Mortensen, 48. "And I just told him to do whatever he wanted," says Mr. Cronenberg, 64. When I read interviews about History of Violence, the interviews really emphasized the degree to which you two collaborate. Tell me, how do you two work together? DC: It's a total lie. I do everything, Viggo does nothing. I do all the work. But he pays me to say that he does a lot of stuff. VM: Also to say that I'm thoughtful and considerate. "In the movie," said Cronenberg, "Viggo was wearing Armani. We don't allow him on the street like that, because he can't carry off the class when he's being himself." David Cronenberg said that you and Freud both had a mischievous sense of humor. He said that? That's nice. I see that in him too. 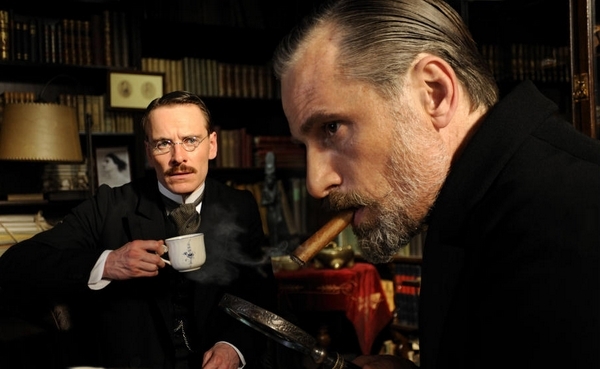 What was it that got you interested in A Dangerous Method? Was it mostly working again with Cronenberg, or the psychological theme? Or both? Firstly, working with David Cronenberg again. Secondly, the bait that David threw my way, in the form of an elaborate system of undergarments that Sigmund Freud was reputed to have employed on some of his summer excursions deep into the Alps. They included an elaborate system of miniaturised pulleys and wires that assisted in muscular stimulation for the steeper climbs. I was allowed to wear these undergarments in all scenes whether I was climbing or not. "I think my cast has great need of psychoanalysis, which is why I cast them actually, to introduce them gently to the idea that they needed help, a lot of help….And you can see they are much better people. Before they were messes. When I found them, they were neurotics, hopeless," Cronenberg said to great laughter. "I just go back to work with David and he fills up all my neuroses…"
VM: It's getting bigger, isn't it? Would you say you enjoy a similar intellectual relationship as Freud and Jung have on that epic first 13-hour date-slash-conversation? Mortensen: We can have a conversation about baseball statistics as readily as we could have about psychoanalysis. Cronenberg: We are readers, and we do get excited when we say, "Oh, I read that same book!" and things like that, so there is that intellectual connection. Mortensen: I think one of the things about you that I most like, other than just the exchanges we have intellectually and just the silly jokes we sometimes enjoy, is the fact that, each time you're making a movie, you get as excited as I do or more so about the subject. . . . You have the eternal beginner attitude. Which I think is a great thing to have for an actor, for a director, anybody. If you enjoy what you're doing, no matter how serious the subject matter, I think you feel that when you watch the movie. I think you watch this movie — and I'm subjective because I'm in it — but I think you can see we had a good time making it. VM: Well, is there anything else? It's onerous to talk to me, I know.